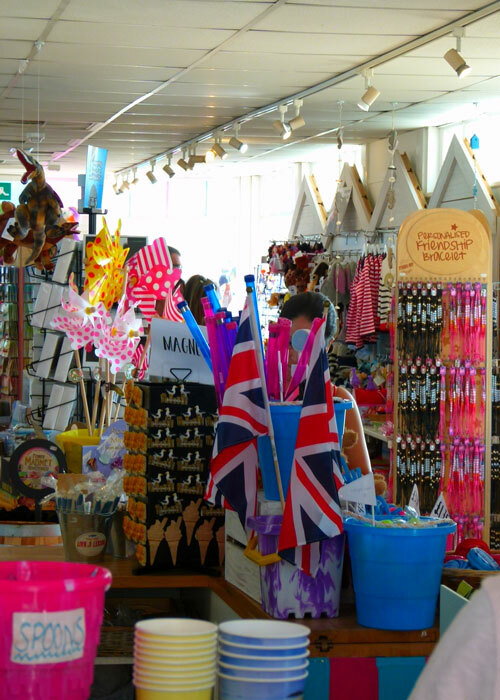 It is said that Britain’s seaside towns are looking tired: unfortunately, in many cases, that’s true. But there doesn’t seem to be too much wrong with Suffolk’s Southwold. So we’re just going to show you a few photographs of this lovely little East Anglian resort, taken on an all-too brief visit on a warm, cloudless, September day, when the sky was impossibly blue; picture post-card stuff. 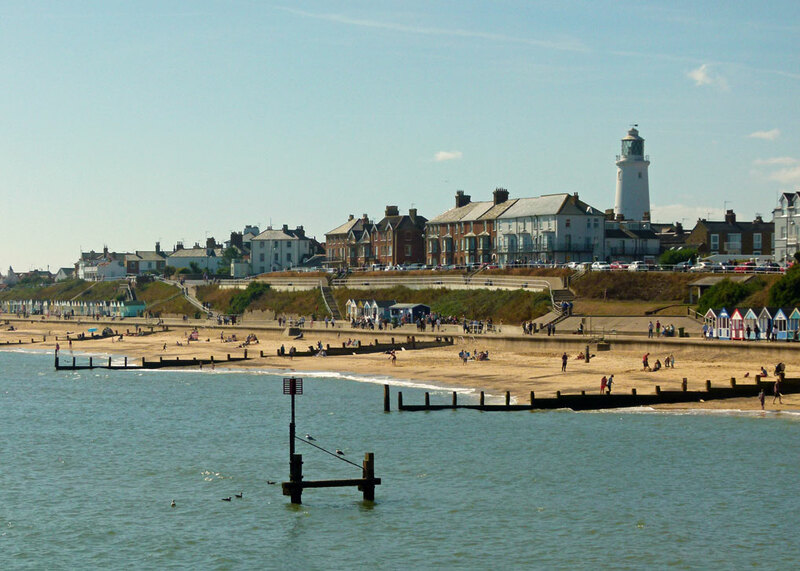 Southwold was mentioned in the Domesday survey of 1086 and has an Anglo-Saxon name, Sudwolda, meaning ‘south forest’. It was a prosperous fishing port, but the vagaries of the east-shore sea-shifting shingle (try saying that after too many sherbets) were not in its favour; so it never made it into the big-time, like Lowestoft just up the coast. In 1659, a devastating fire swept through the town, by some accounts destroying over 450 buildings and apparently resulting in a decision to leave ‘greens’ – green spaces – as firebreaks. Sounds sensible. 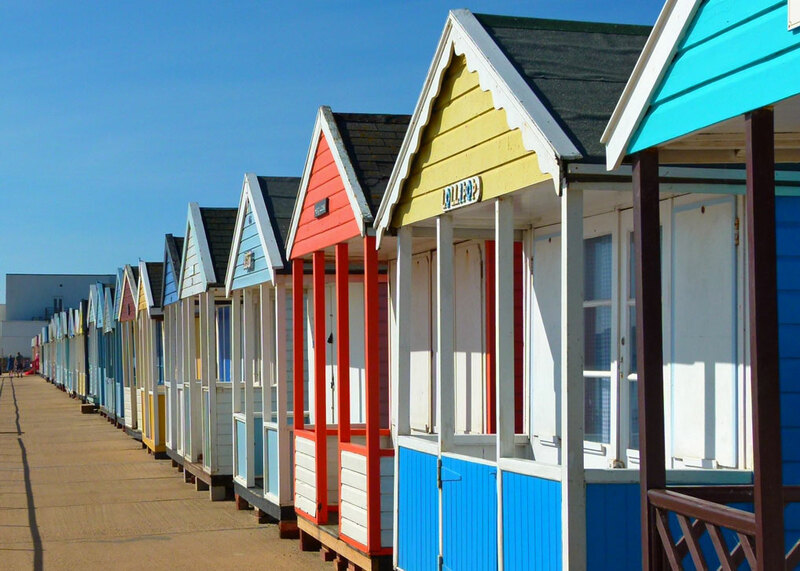 One of Southwold’s claims to fame is its colourful beach huts, which stretch along the shoreline, overlooking the beach either side of the Edwardian pier. Essentially, they are sheds that have evolved from fishermen’s huts, or bathing machines, and provide a convenient beachside home from home when spending a day at the seaside in Britain’s uncertain weather. The Law doesn’t allow the beach huts to be used overnight and I don’t believe facilities extend to running water or electricity; all the same, it can easily cost £200 a week to hire one – and they can sell for more than £150,000.00 What I particularly liked about them, other than their jolly jaunty appearance, is that some have rather imaginative names – like ‘Two Fat Ladies’ and ‘Jabba the Beach Hut’. Ideas for silly beach hut names, then… ‘Top Hut and Tales’? ‘No 1 in the hut parade’? Toward the southern end of Southwold town is Gun Hill, surprisingly so-called because it is home to half a dozen 18th century cannons. 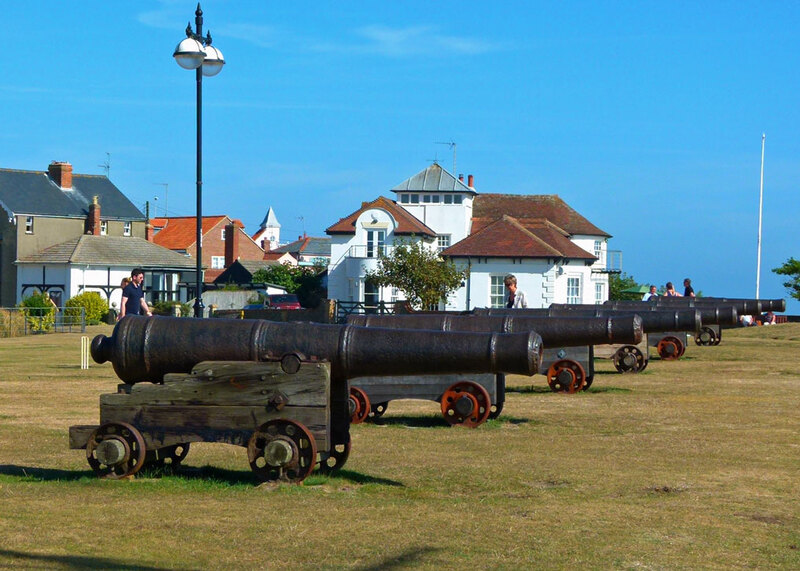 They are 18-pounders – which refers to the weight of the ball they fired – and it is claimed they were placed there to help defend the town against pirates, though it’s not clear why little Southwold was considered to be so particularly at risk. Another story, though an unlikely one, is that they were a gift from the Duke of Cumberland following the Battle of Culloden. The guns were last fired in 1842, to celebrate the birthday of the Prince of Wales. Unfortunately, No 1 gun failed to fire a second time and a soldier, James Martin, imprudently looked down the muzzle (“Oh, look; I can see what the trouble is…”) and, predictably, had his head blown off. Perhaps it is his ghost that haunts Gun Hill; or maybe the spectre is that of his impoverished widow, seeking help for her three fatherless children. 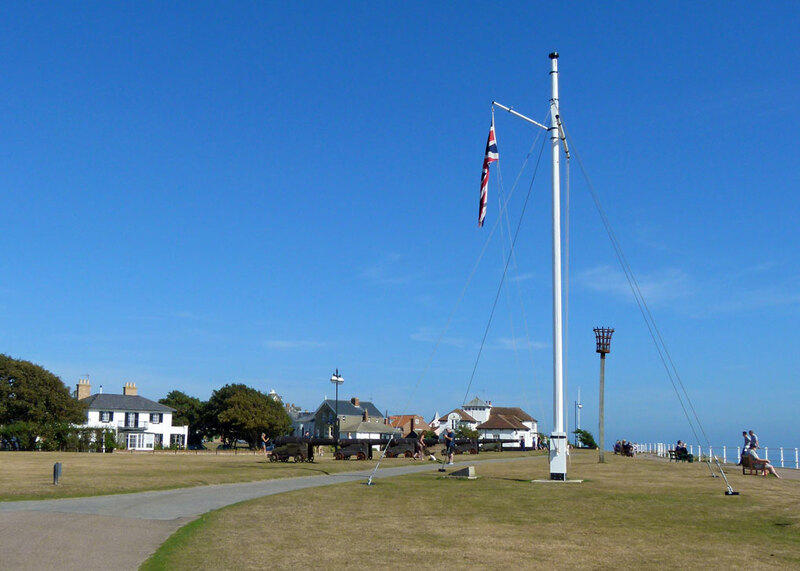 ‘Tis said that the presence of the guns resulted in Southwold being molested by the Germans during the First World War – the town was certainly bombed by Zeppelins and shelled by the German Navy – but, somehow, I can’t imagine the Kaiser’s men feeling overly threatened by the presence of six pieces of 18th century ordnance. Just to be sure, though, legend has it that the guns were hidden – possibly buried – in World War Two. This, of course, would have prevented them being captured by an invading army and used against the defenders. Good Plan; once again, plucky English brainpower outsmarts the enemy. More seriously, there’s a small memorial on Gun Hill, dated 1995 and commemorating 50 years of peace with former enemies since VE and VJ Days (Victory in Europe Day, 8 May 1945, and Victory over Japan Day, 15 August 1945). 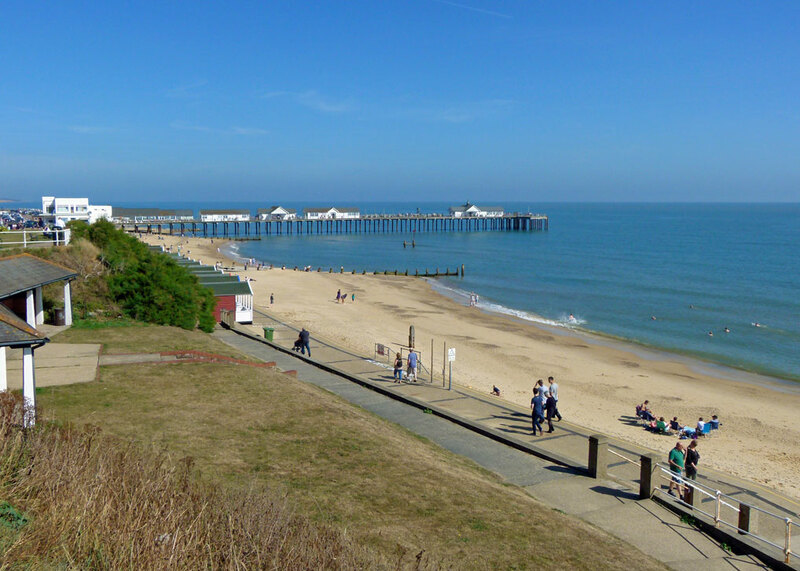 Out to sea in Southwold Bay – known as Sole Bay – a huge naval battle, the Battle of Solebay, took place between an Anglo-French fleet and the Dutch Republic on 28 May 1672. The English fleet had been anchored off Southwold when a French frigate brought news of the approaching threat in the early hours. The fleet quickly weighed anchor, many matelots having to be dragged away from taverns. An enormous engagement ensued, involving over 160 ships and more than 50,000 men. It is hard to imagine the chaos of this violent event, particularly on a fine, serene, day, looking over an empty blue sea. The heaviest fighting, between the English and Dutch, ranged from two to ten miles off the coast between Southwold and Aldeburgh and resulted in some 3,800 deaths, including one of the English commanders, the Earl of Sandwich, whose barely recognisable, charred, remains were washed ashore some weeks later. Indeed, the waves delivered many bodies to Suffolk’s beaches. The Earl had stayed in Southwold the night before the battle, as had the overall commander of the Anglo-French fleet, the Duke of York – who became King James II in 1685. In 1688, James was deposed and replaced with the Dutch William of Orange and his wife Mary, James’s daughter; history is full of irony. 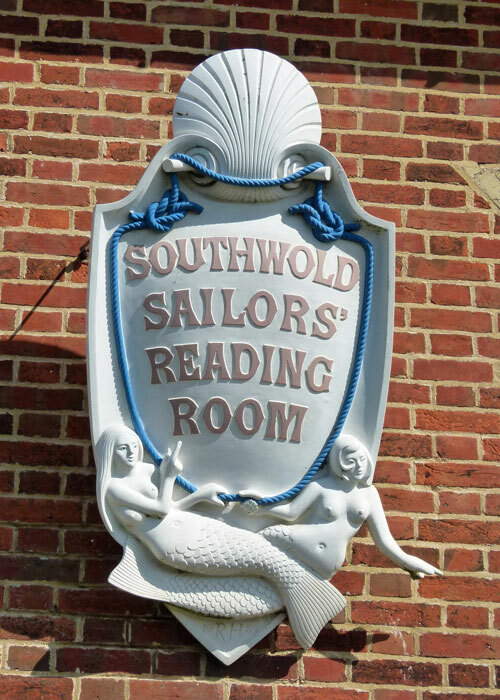 This might be an appropriate moment to mention Southwold Sailors’ Reading Room, built in 1864 by joyful, fun-loving, people in an effort to keep mariners out of pubs. It wasn’t all bad though; the sign is splendid. 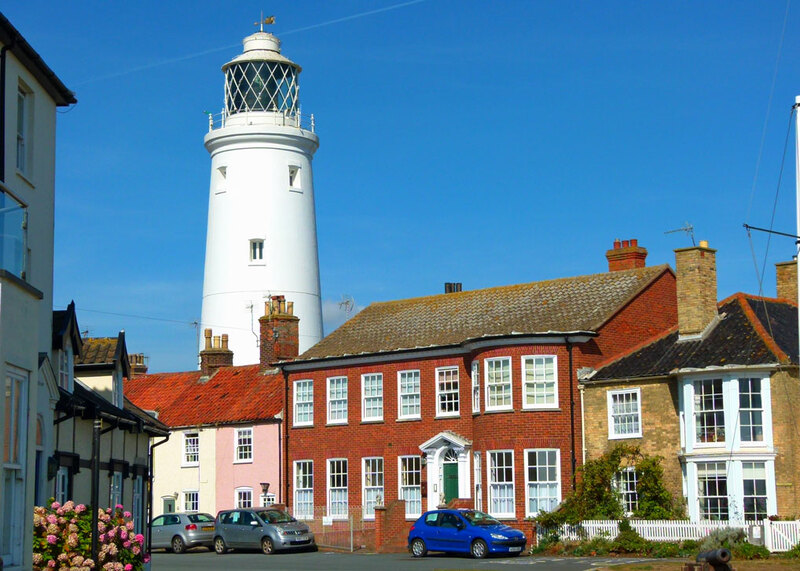 At the centre of town is Southwold’s lighthouse, one of the town’s landmarks, and built in 1887 to replace local lighthouses under threat from coastal erosion. The lighthouse sends its beam 24 nautical miles out to sea and is open to visitors. There’s something very simple and slightly nostalgic about Southwold. There is little that is brash or tawdry about the place. It has its rainbow beach huts, a lovely beach with enough sand to build a decent castle or two, sparkling blue sea – and there’s also the thrill of a putting green and boating lake. To complete the sensation of being caught in a 1950s time-warp there is, of course, the pier. Doesn’t every semi-respectable seaside town have a pier? 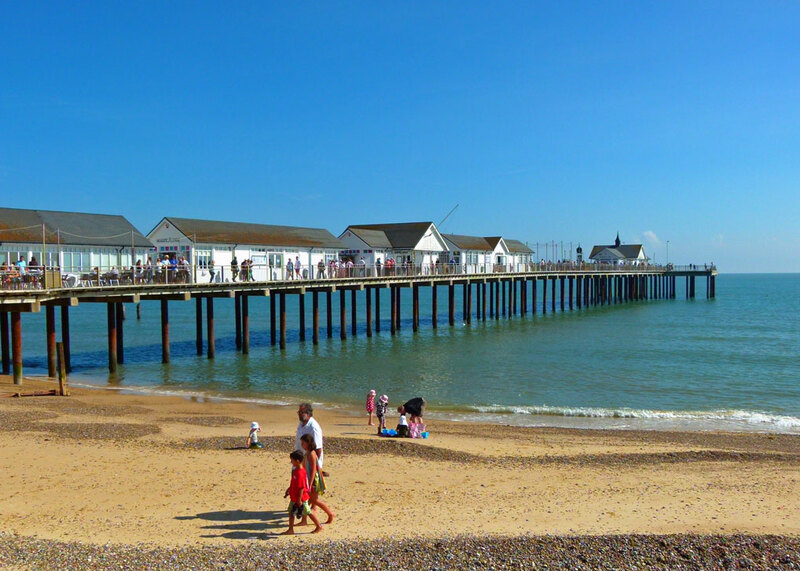 Southwold’s pier was built in 1900 to accommodate steamships and in its lifetime has been truncated – mainly by storms – and restored a few times. It was also partially dismantled during World War Two in order to thwart – yes, you’ve guessed – the Germans. Southwold, for all its attractiveness, seems to have a Puritan streak. Actually, I seem to recall that East Anglia in general was once full of them. Not only was there a determined attempt to keep Southwold’s sailors from their ale, but some miserable townsfolk actually wanted to prevent invading German soldiers, lonely and far from home, from enjoying all the amenities a seaside pier has to offer. Frankly, I’d rather see the Wehrmacht taking pleasure in slot machines and what-not – perhaps a spot of putting and a turn with a pedalo as well, maybe even tours of the lighthouse and Adnams Brewery while they’re about it – than watch them zipping across East Anglia, messing up the countryside with their nasty tanks (having of course swapped their ridiculously efficient 88s for the infinitely nicer 18-pounders on Gun Hill). Maybe this mean-spirited attitude is in the local gene-pool and has seeped into the 21st century, because I came across a report in the Guardian mentioning ‘Sandwichgate’, the scandal of pier staff rebuking a young family for eating their homemade sarnies and an elderly couple for munching a slab of their own cake, rather than purchasing something doubtlessly inferior from the pier’s eateries. This surely takes pier group pressure to another level. Yes, yes – I know it is unreasonable to bring your own food into a café; but that is not the story I’m telling. Anyway, it’s a pier; people picnic on piers. However, alongside the usual beach paraphernalia, one pier enterprise was purveying yummy local Suffolk Alder Tree ice cream when we visited. 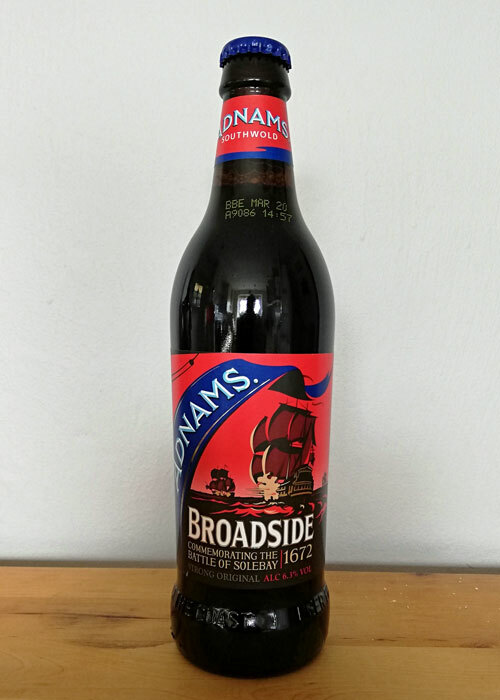 Available flavours, in no particular order: vanilla, chocolate, summer-fruit, pear and vanilla, stem ginger and rhubarb, apple and cinnamon, toffee apple, strawberry, gooseberry and elderflower, raspberry, blackcurrant, damson, blackberry and apple. You could have a single scoop, or mix it up a bit with a double, or (sin of sins) treble scoop. Chocolate flake is extra. Now you know the options, you have time to think about it before you go; no need to stand fidgeting on one leg in the queue, embarrassed because you can’t decide. 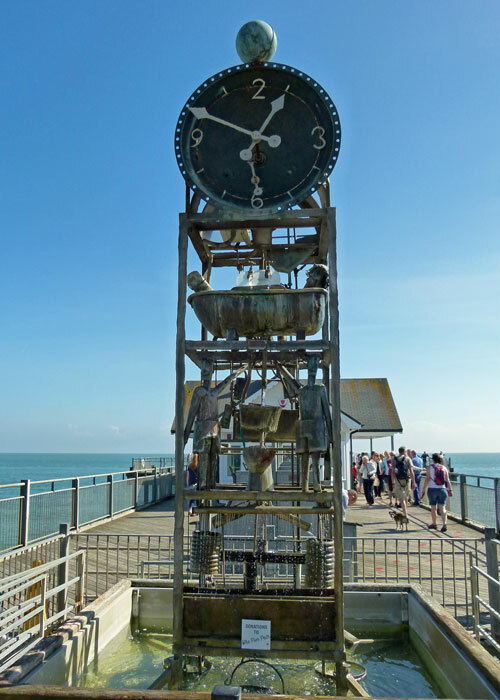 The pier boasts an extraordinary water clock, which is simply something you want to watch as the tin occupants of a tin bath squirt water, a couple of tin men relieve themselves and tin flowers burst into tin life. 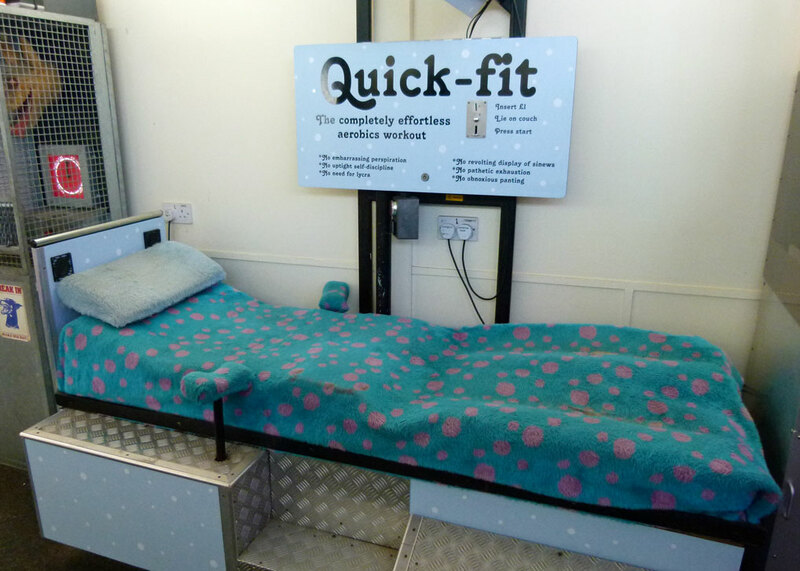 There are also some highly unusual, eccentric and very funny, slot machines that include a zimmer frame simulator, ‘whack a banker’ machine and ‘quick-fit’ – an effortless workout achieved by lying on a bed. 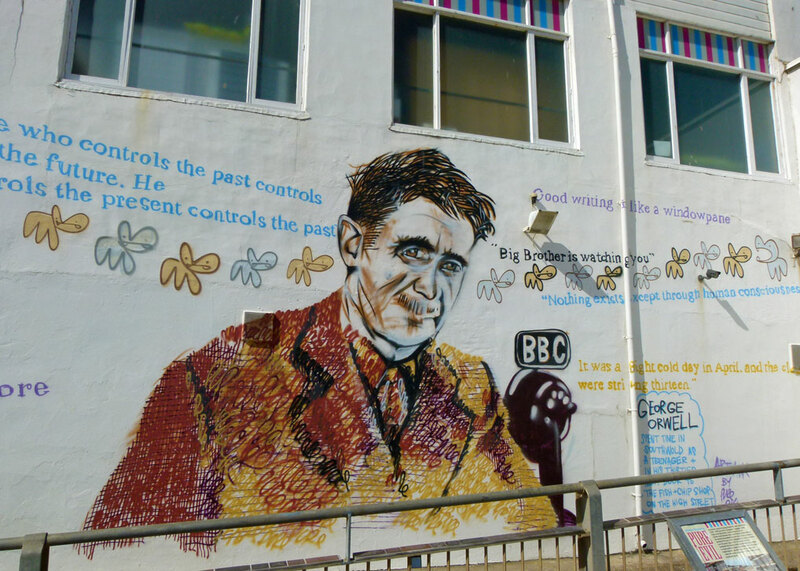 At the end of the pier, a mural reminds visitors that Eric Arthur Blair, otherwise known as George Orwell, had a 20-year affair with Southwold. He stayed with his parents, worked in the town, and used it as a base. His sister ran a tea shop there. Perhaps someone on the Town Council provided him with inspiration for ‘Big Brother’. So there you have it – Southwold: among many other things – beer, beach-huts, a battle and a bloke called Blair. I liked it very much indeed and want to go back, but next time stay longer. I think I would like Southwold very much. I LOVE the colorful, delightfully-named beach huts and the area looks like great fun. It’s a beautiful, very clean-looking beach, too. What’s not to love about a sunny day at the beach with ice cream? The place empties in winter when the second home owners flee for shelter from the wind off the North Sea. Love the lighthouse and the beach huts!! Wonderful! I am so glad you visited on a beautifully sunny day and not when a gale was blowing! We love our local seaside but it does have problems; 60% of the houses are second homes and are empty for a good part of the year. Many of those second home owners have registered themselves as a business and pay reduced rate taxes etc which costs the town a fortune. I am sure Southwold isn’t the only attractive seaside town to have this problem. Yes, I’d heard something like that. It’s a common problem throughout the UK – and not just in seaside towns. Worth the visit for sure. Love those colored huts and their names, too. Fun. Thanks for the info on the ice cream flavors. Haha! what a pretty little coastal spot, sounds a bit silly someone looking in a cannon to see what was wrong. Thanks, Eunice – welcome and I hope you enjoy! I think it could become one of mine too. 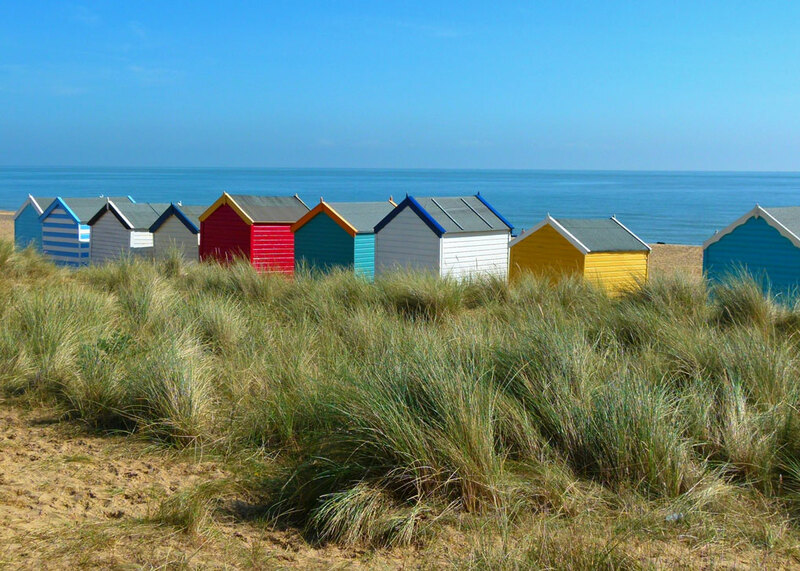 Nothing is more cheerful than those colorful little beach houses on England’s beaches. 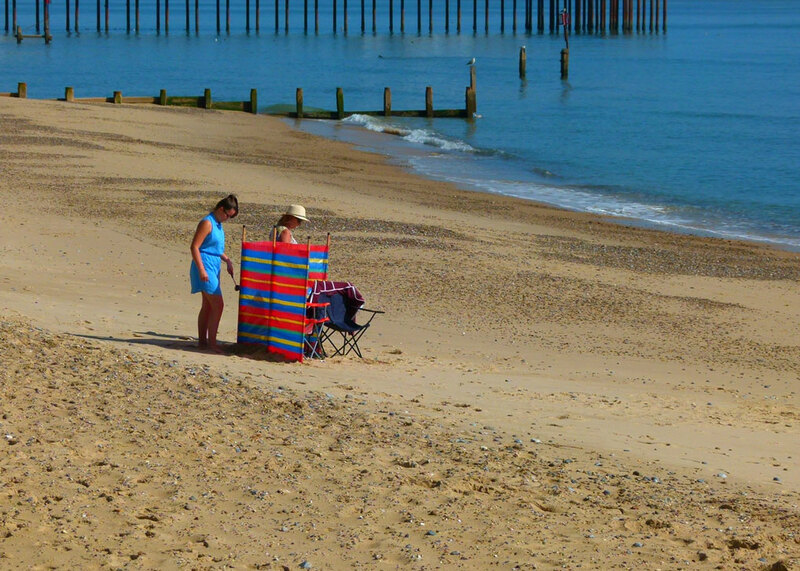 Southwold looks to have everything one could want for a lovely beach holiday — even sunshine! But beware of the wind off the North Sea, as someone pointed out! Yes – a bit of TLC! Thanks for another introduction to a quintessentially English seaside town – and the reminder of how closely allied we are with Europe, whether we like it or not! Thanks, Frank. Don’t understand the second part of your comment though! If you like big guns, pop over to HMS Nelson just north of Pompey, Derrick. I certainly enjoyed reading your observations on Southwold. I’ve never been to Suffolk (one of only 2 English counties I haven’t) and you’ve re-kindled my wishes to do so. Southwold does sound like it’s in a bit of a time warp, which is not necessarily a bad thing. I do think our coastal resorts have been left in the wilderness for far too long though. To much competition from cheaper and hotter overseas alternatives! As a child, I really loved beach huts and thought they were Australia’s greatest gift to the world. Of course that was wrong, but I was delighted to write Beach Huts in Australia and Britain decades later. Thanks, Hels – enjoyed your really interesting article. I had no idea… (as usual!). It feels quite idyllic, now! Haven’t been to Suffolk this year, incredibly enough, since we go so often. But when I do I always visit Southwold. It’s charming, quirky and interesting, and you covered so much of it, including the wonderful Tim Hunkin. And I am VERY glad that you have spotted Alder Tree icecream, by the way – you’re the first blogger I have ever seen who has done so, and so definitely deserve a star. It is far and away the best icecream I have ever tasted, and I only wish it was possible to get it outside Suffolk. I have heard rumours of shops that are supposed to sell it in London, but when I go they never have any! I didn’t realise that Alder Tree ice cream was so sought after! Lovely pictures, it does look quintessentially English. What a pretty place that must be, and such a prosaic name. Reminds me very much of Martha’s Vineyard, over on this side of the water. Thanks for a fun read, Mike. It would be great fun to test your theory, Michael.